Why professional photographers need a high-end camera drone? The best 4K drones will allow most photographers to capture high quality photos and aerial videos than ever. What’s the best drone for photography? Most photographers can benefit much more from the best drone like a DJI Mavic Air. 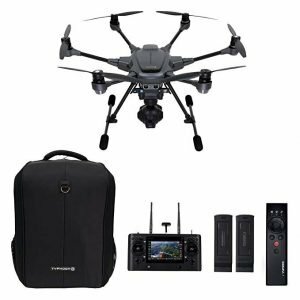 In this list, you’ll find my selection of the best drones with 4K camera as well as waterproof and underwater capability. DJI continues to innovate by introducing the Mavic 2 Pro drone. With the DJI Mavic 2 Pro, you’ll shoot 4K videos. 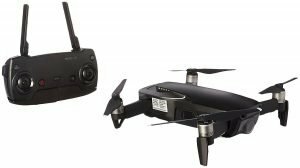 For those who were reluctant to buy the Mavic, this is the best time to get this latest generation drone. The Hasselblad photo quality and great zoom lens will make it the top best drone for most photographers this year. 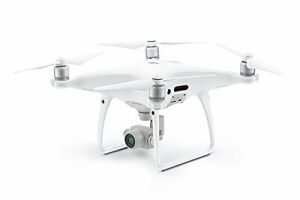 Top of the list is the DJI Phantom 4 Pro+, which has some of the most advanced imaging features. 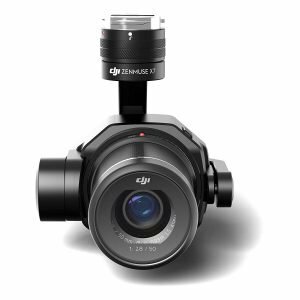 With this DJI drone you’ll have an enhanced video processing system and a powerful 3-axis gimbal stabilized camera with a 1-inch CMOS Sensor that is designed to capture DCI 4K videos at 60fps and 20MP photos. I also reviewed this compact 4K drone here. 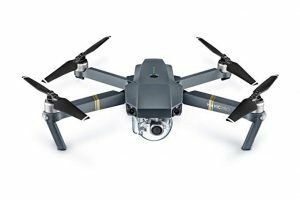 This Mavic Pro is the best drone for most photographers in term of price and values. While DJI drones are popular in the market, the Yuneec Typhoon H Hexacopter is a great build product I’m excited to recommend. I really like its Intel RealSense Technology for enhanced autonomously flying. This Parrot drone is ideal for low-angle shots. If you’re looking for the best waterproof drone, I’d recommend this SwellPro Splash drone 3 fisherman. The drone fishing is ideal for tough weathers, rain, snow, and storm. Delving deeper under water with a drone? 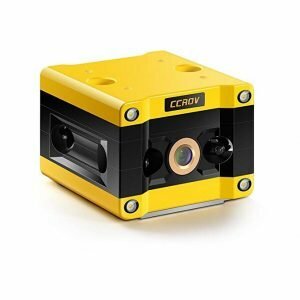 The CCROV 4K is the best underwater drone with 50 meters cable and real time transmission. The DJI Zenmuse X7 is the best drone for film-making. In overall score, the Zenmuse X7 beat the quality of Olympus OM-D E-M1 Mark II and Panasonic Lumix DC-GH5. 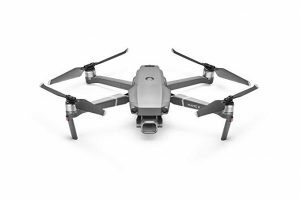 The DJI Mavic Air is a 4K camera drone that allows you to take a picture from above with its advanced technology. It is fold-able and portable, making it easier for travel photographers. After spending my recent weeks on research and tests, the DJI Mavic is my pick for the best drone for photography this year. The main factors include: the features, price, and values. DJI Mavic Air design is not only light but small enough to fit on a regular bag-pack. As a photographer this would help you to save space and make your way easier and lighter, that can make the difference for you when taking a long walk looking for the perfect capture. The drone and the controller have been made with light-weighted high-quality plastic, that promise to last. It does not suffer damages from the water so far. The controller itself is not only light but a third of the usual size of others drone’s controllers. From its folded state to ready to work it can take you not more than thirty seconds, in between opening the radio antennas, the two compartments on the bottom, screwing in the two joysticks and attaching your phone to the right cable. This controller makes this drone easy to fly even for a beginner, being a responsive control that allows you to fly up and down with the left joystick and go left and right, while the right one controlled the front and back movement. Through the DJI GO 4 app on your iPhone, you will be able to fly the drone without any problems. The app allows you to calibrate the drone horizontally and vertically before starting to fly. You may have to wait a minute until the GPS navigation is ready. 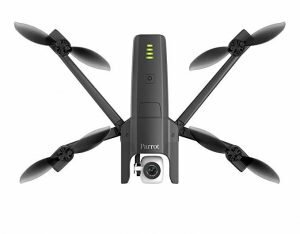 This drone is built with a thirty-two megapixels sphere panoramas lens, plus the usual horizontal, vertical and 180º panoramas. It has three-axis Gimbal and 4K camera, capturing the videos with ultra-high-definition UHD quality, and the slow-motion technology. DJI Mavic Air’s features were designed for drone photography. About the settings, the drone comes set to record video, you can be stored in the 8 GB memory or the microSD card that you are allowed to add separately. You can access the setting by pressing the three sliders icon. On the “aperture” tab you can change the camera mode, the ISO, the shutter speed and the exposure. On the “camera” settings you can select the video size, from 720p to 4K, the video format, the white balance, style and color. In addition, on the last settings, you have access to turning on the histogram, overexposure warning, video caption, setting up the Smart Arm LEDs, Grid and Anti-Flicker and change where to store your videos. The photo settings offer you to configure from manual to automatic set, being available on the manual mode the ISO regulation, the Shutter, etcetera. You are able also to select the second menu the image size, format, white balance, style and colour. And on the last tab, you have the option for single short or multiple, HDR shot, AEB, Panoramic and more. Overall, the Mavic Air produces excellent image quality (comparable to Phantom 3 Pro 4K) for its size and the 100mbps bit rate is excellent. Some of the problems that this drone deal with are related to the battery (you may need an extra), the flying time is up-to twenty-one minutes. Being a small battery, it gets consume easily. The small design makes it portable but at the same time not as stable when it comes to windy conditions as a bigger drone that can also be equipped with a more powerful motor and bigger battery. Also, one of the thing to improve on the DJI Mavic Air is the range on the signal connection. Some other difficulties come when changing exposure too fast, the difficulty to adapt fast enough may result in inconsistencies on your video. What’s more? The image quality is not as great as you would expect considering the 1/2.3” CMOS sensor in comparison with some other brand that offers 1” sensor. In addition, on the last settings, you have access to turning on the histogram, overexposure warning, and video. Connection seems to be a bit lag with 500m+ distance. DJI Mavic Air works on a three-directional environment sensing, by which it helps taking steadier shots. It works with a smart capture technology. Its HDR algorithms work to get an intelligent capture according to the light, in overexposed or dark areas. And it can make up to twenty minutes maximum of flight time. Despite some of the problem that the DJI Mavic Air has, more and more often photographers prefer it over the other drones. Its advanced technology, small and folding design and simplicity of use, being ideal for traveling professionals. There are many drone made before the DJI Mavic Air. This is by far the best drone for photographers. The drone is so rugged and portable (smaller and more compact than the Phantom 3 Professional) that you can literally take it anywhere. Therefore, its size, image quality, and overall intelligence makes it the best drone for most photographers. Drone photography is here. It’s the future. With the best 4K camera drone, professional photographers can have endless creative possibilities performing the work. For photographers and videographers, drones or UAVs (unmanned aerial vehicles) are the new arsenal for professional and commercial work. Today’s trend is having the best drone with ultra-high definition 4K cameras for great, stunning shots from the above, an amazing angle we can dream of. 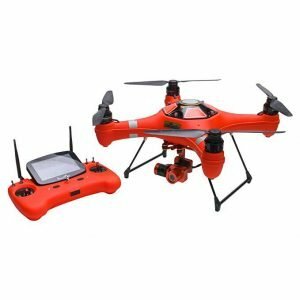 This list will help most people finding the best choice either buying their first drone or an upgrade.